Fifty years after he was assassinated in Memphis, Tenn., Martin Luther King Jr.’s presence remains strong in this Southern city. A special series of grants by the Community Foundation of Greater Memphis aims to make sure Dr. King’s vision continues to positively shape his former hometown for years to come. Just City is one of six grantees who are working to advance the work of Dr. Martin Luther King Jr. in Memphis, Tenn. The MLK50: The Next Step Forward grant program marked the 50th anniversary of Dr. King’s assassination by making a series of $25,000 investments to six nonprofits whose work aligns with the six pillars that Dr. King focused on during the civil rights movement. Neighborhood Christian Centers (Poverty) - In collaboration with partner organizations, Neighborhood Christian Centers (NCC) will pilot Holistic Home Visitation Services, a program to assess immediate and critical needs of families, to refer partner services to address these needs, and to track progress through assigned case managers. The Community Foundation grant will support a program pilot with 120 families at an NCC site within a Section 8 Housing Development. Long term, building from the pilot, NCC then hopes to expand to serve up to 800 families with an overall goal of 60% or more of the families in the Holistic Home Visitation Services program to improve in their stability levels. Tech901 (Better Jobs – Higher Wages) - Tech901 aims to develop, grow, and diversify the talent pool in Memphis through training in technology, a field with higher earning potential, many unfilled jobs, and severely lacking in diversity. It intentionally recruits students of color, of low and middle-income background, and women to support the accessibility and growth of Memphians in tech. The grant will fund one class of 48 students for IT Foundations, a 12-week course offered for $100 per student, a significant reduction in cost and time barriers relative to for-profit courses. Upon graduation, Tech901 supports its diverse alumni in securing IT jobs with livable wages. United Housing (Decent Housing) – To stabilize and strengthen neighborhoods, United Housing helps families reinvest in their communities through homeownership. The nonprofit provides tools to strengthen its customers’ financial stability, to educate customers about purchasing a home, and to increase customers’ access to mainstream financial institutions. The grant will be used to translate United Housing’s traditional Homebuyer Education class into a mobile Homebuyer Education workshop. The certified curriculum will help 300 Binghampton and Crosstown residents learn the fundamental mechanics of financial literacy and homeownership. 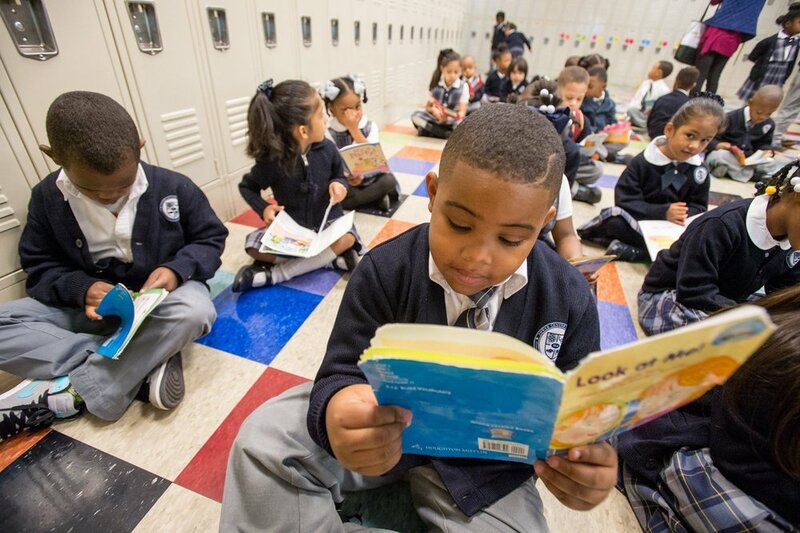 Gestalt Community Schools (Quality Education) – Through strategic partnerships, the K-12 public charter school operator focuses on building high-performing schools, tackling out-of-school challenges, and revitalizing neighborhoods. With the Community Foundation grant, Gestalt will launch the Parent Village Project, which will include establishing a Parent Resource Center and a parent teams and liaisons structure at all five of its schools. The project will promote ongoing, school-based support and mentoring to the families of its 2,200 students to mitigate factors that impact the success of its low-income, predominantly minority students. Just City (Justice) – Just City advances policies, programs, and solutions that strengthen the right to counsel and mitigate the damage caused to families and communities because of contact with the criminal justice system. In addition to its slow, steady work of expungement, bail, and court debt reform, the nonprofit must be able to coalesce around other justice issues quickly and strategically as they arise. The Community Foundation grant will be used for general operations and existing programs so that, as these unexpected needs arise, Just City will be able to address them. Mid-South Peace and Justice Center (Peace) – Mid-South Peace and Justice Center (MSPJC) mobilizes communities to realize social justice through nonviolent action. The Community Foundation grant will support MSPJC’s Juvenile Justice Project to further integrate youth programming into its work. Components of the community-based, restorative justice project include creating meaningful volunteer opportunities for young people court-ordered to complete service hours and providing educational trainings around nonviolent communication and nonviolent direct action. Each of the MLK50: The Next Step Forward grant recipients will be reporting on progress to the Community Foundation. A community event to share progress will be held next spring.